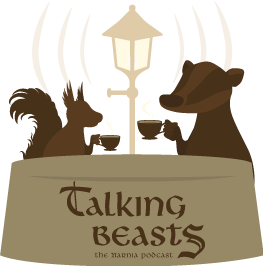 Screenwriter David Magee updated NarniaWebbers on the status of The Chronicles of Narnia: The Silver Chair on Monday’s episode of our biweekly podcast, Talking Beasts. Magee also discussed themes in The Silver Chair that attracted him to the project, emphasizing the importance of Pudleglum’s famous speech from chapter 12. GLUMPUDDLE: Welcome back to Talking Beasts, A NarniaWeb.com Podcast. I am Glumpuddle, and my guest today is Academy Award-nominee David Magee, screenwriter of The Chronicles of Narnia: The Silver Chair. David, welcome to the show. DAVID MAGEE: Thank you very much. Happy to be here. GP: Thank you for taking the time out of your workday to mingle with us lowly fans. GP: I was actually just looking at the short teaser video that debuted at Comic-Con showing Emily Blunt in Mary Poppins Returns. Have you seen any more footage from the movie and how do you think it’s shaping up? DM: I’ve seen quite a bit of the footage. The film has been shot. The special effects and animation will take another year, unfortunately. But, the live action has all been shot and looks fantastic. We rehearsed for seven weeks. The whole cast, every single scene — they’re amazing. Visually, it couldn’t be more beautiful to look at. Really excited, I’m not gonna lie. Sometimes I short sell a little bit so that I don’t promise too much, but I’m very excited to see how this all comes together. I think it’s going to be really amazing. Christmas 2018. GP: And which script do you think required more post-it notes to plot out? Mary Poppins Returns or The Silver Chair? DM: Oh! You mean from my board in there. You know, it’s interesting because I wrote Poppins essentially after collaborating on the outline with the composer, the lyricist, the director, and the producer. It was five of us in a room talking ideas, so it evolved as a group more or less. Which is a real fun way to work, but by the time that we got to posting up notes, I already had a very strong idea of what the shape of the story was going to be. With Narnia, obviously, we already had the story, and in the first draft it was laying out the story just as you would expect from reading the book. This scene happens, and this scene, and then this scene. In the earliest versions of the draft, we were very close to the book and there was very little exploration of what happens in between scenes and relationship questions that don’t actually get answered in the book. That sort of thing. So, there were more post-its later on for Narnia, and I think there was more exploration and figuring out early on with Poppins. The nice thing about the post-it notes is that you write as little as possible and you can’t be precious about your ideas. You just say “he comes in the door, they fight,” and you stick it on the wall, and then later if it doesn’t work you don’t feel bad about crumpling that note up. GP: Talk about the collaboration. Have you been in a lot of contact with Director Joe Johnston and Producer Douglas Gresham? DM: Absolutely. It has been a gradual process of developing this. We worked originally with the producer Mark Gordon, Douglas Gresham, various other representatives from the Narnia estate, and other producers in trying to develop the most respectful, kind of faithful adaptation of the the story. A lot of exploration of how we wanted that story, and then we reached a point where we felt strongly about it. We went to TriStar/Sony and they loved the project and picked it up. And then we went out and met with Joe Johnston. As soon as a director comes on board, his visual ideas, his ideas for the rhythm of the script, what needs to be said and what really doesn’t because he can get that from the actors — that becomes a new draft in a sense. So, I’ve been working with Joe and continuing to work with everyone else to get this script to a point where we were feeling really confident about it. Joe is a very visual director and so he’d sketch little ideas of ‘What if it looked like this?’ or ‘What if the characters were like that?’ and then you start incorporating those ideas into the actual draft. So, it’s a constantly evolving document. 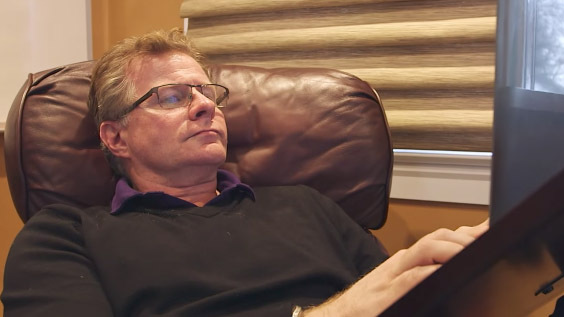 People always ask if the script done, and the script isn’t really done until everyone’s done shooting it and making it and they’re sure it’s where they want it. I mean, I’d say Mary Poppins Returns is 99% done, but once the film is assembled and we look at it in editing, there may come a point where the director says this is not clear anymore, this line doesn’t explain something. We need to find some other way to do it. And then you find a little extra something to make it work, whether it’s something someone says over someone’s shoulder, or whether you don’t need that scene anymore because you read it all in the actor’s face: they’re not happy, so that whole speech about “I’m not happy” just doesn’t really belong anymore. So, it’s a constantly evolving process. GP: How involved do you think you’ll remain with The Silver Chair when filming begins? DM: I’ve been very lucky in that my films have developed slowly. We were pretty darn sure this is exactly the film we wanted to make before we started shooting. And so with Life of Pi, Finding Neverland, Poppins, and now Narnia, I’ve been working very closely with the director and the producers and I generally do so right up until the first few days of filming, and then my job is done for a while. While they’re shooting, I often go and visit the set because I want to see how it’s all unfolding, but if I’ve done my job well enough, I’m not really needed there for the actual filming. Then once they’re done filming and they assemble the edit of the film, that’s when I might come back in a little bit and be an extra pair of eyes who hasn’t watched it for a while. Or help to clarify something or adjust something. GP: You can be more of an objective viewer. You haven’t seen as much of it for a while. DM: Absolutely. Months have passed generally since the time I stopped working on it and they went off shooting, and then they’ve taken all the time to assemble a rough cut of it… to have someone who can come in and say “Oh, this is running a little long” or “You know, I need a little more clarification there” — I think it’s very helpful to have that outside eye, and I’ve been very lucky that my relationship with directors over the years has been very good. So I haven’t gotten thrown out yet. GP: Hopefully that streak will continue with The Silver Chair. [Both laugh] Let’s back up a bit. Talk about how you first became involved with The Silver Chair, who approached you, and what was that made you say ‘Yeah, I want to spend the next few years of my life focusing on this’. DM: Well, first of all, it was Mark Gordon and Doug Gresham who approached me. Mark has produced a lot of films and television over the years – he’s very experienced – and he wanted to bring the series back to life. It’d kind of lain dormant for a while and it had left the studios for reasons that are beyond me, but I know that it had lain fallow for a while and Doug wanted to reinvigorate it and he felt that the best way to do so would be to reach out to Doug and make sure that Doug was happy with who the writer was, and the direction of the script, and develop it in-house and get it to a point where it was ready to present, essentially, to a studio. So they reached out to me a couple of years ago now, two or three years, I’d have to look up my calendar. I of course had read the book when I was a kid. 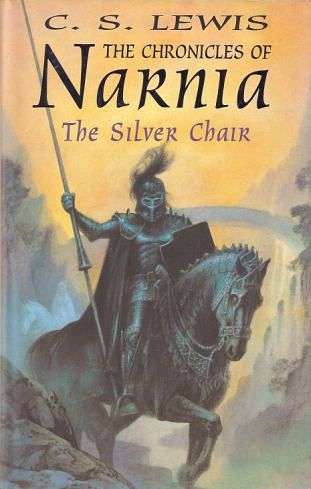 I’d read the whole Narnia series when I was young and I loved it, so it was not a hard question for me to answer if I was interested in being involved. One of the themes of The Silver Chair which kind of crosses over a lot of things that I am interested in writing has to do with the ways in which stories help us negotiate our way through life and having an outside perspective on things, and even fantasy stories that help us to understand reality a little better, get us through the difficult times in our lives. 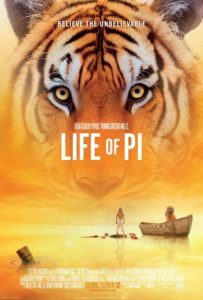 So, Life of Pi – I’m not going to give any spoilers – but it’s about a person who has all sorts of different ideas about happens to him on a very arduous journey and what’s most important at the end is that he believes his version of the story and that it is what saved him, in a sense. The main dramatic speech of this, of the book and the film, at least from a thematic story is when Puddleglum is talking to the witch at the end and he says ‘You know you might be right, maybe everything you say is true, maybe none of the world that I believe in exists. But if it doesn’t, well that makes this world a pretty sad place and not a place I want to stay in and so I’m going to keep searching for that’. And I liked the optimism of that from the most pessimistic of characters, at the climactic moment of the story. For me, that’s what Life of Pi was in many ways, and also Finding Neverland which was about a playwright who was finding a way to bring Neverland, to bring a greater sense of what life is about, to a family that’s going through difficult times. I didn’t set out in my whole career to just write these stories, but it has happened to me again and again that the stories that I’m most attracted to are about that kind of balance edge between what is real and what is imagined and in the heart and how to go beyond just facts, and beyond just what can be seen and known, to find a better way to live. So that’s why. DM: Absolutely, no coincidence, your screenname is for a reason, obviously. Yeah, that has to be in there, I mean that moment has to be in there of all moments as far as I’m concerned. GP: Director Joe Johnston and TriStar president Hannah Minghella have talked about the idea of bullying and standing up to tyranny being elements of the movie. So, a lot of fans are anticipating that element from the book will be expanded in the movie. Is that something you would want to weigh in on? DM: I don’t want to go too much into specifics but what I will say is yes, the beginning of the book is about a young girl who is being tormented by bullies and a boy who takes her out of that and helps her through that. But what’s interesting in the book is it’s not clear what she’s been bullied about, it’s not clear what happened leading up to that moment, it’s not clear what the context is. Now to some extent maybe it doesn’t matter, the interesting thing about a book like The Silver Chair is it has an almost fable quality to it. No one’s fact-checking or asking for subtext and that’s fine, that’s wonderful, that’s a part of the book, but as you make things real on screen and as you bring characters on screen it’s only natural to ask ‘Well, what is it that happened? What’s going on in your world?’ and so we spent a lot of time thinking about that. Obviously it’s still a dramatic time in world history, we’re still in wartime, we’re at a boarding school and this girl has gone through a lot of some sort or another, and so that’s where we began our exploration, and then whenever you’re writing a film you want that journey that she’s on to somehow be resolved by the journey itself. Obviously facing giants and witches you’re not exactly facing bullies, you know, you don’t think of it in that way, but for anyone to face – let’s face it, once you’ve taken on a giant that kid on the playground doesn’t seem quite so difficult to face. So those are the kinds of things that we explored. And the only reason – I’m not trying to be coy – I don’t want to say too much about which direction we took it because I want that to be part of how the movie unfolds. GP: On this podcast, we talk a lot about how things that work well in the book don’t necessarily work equally well in the visual medium. But I’m sure there are some of our listeners are wondering, ‘Why can’t you just follow the book exactly? Didn’t Lewis get it right the first time?’ I mean, Lewis got it right the first time – just kind of do that.’ Why are changes often necessary to adapt a book for the screen? GP: That’s a good example of something Lewis did so well. In the book, you can give just a few details about something, but in a movie we’re actually seeing it so you have to think it through. DM: Absolutely. We all think of giants dressing a certain way because we’ve all seen Jack and the Beanstalk but is that really what they always looked like, or have to, or should? Is that what he had in mind? So those are the kinds of things that come up in making a movie that you never think about when you’re just enjoying the book. GP: This isn’t your first adapted screenplay. You also wrote Miss Pettigrew Lives for a Day, Finding Neverland, and Life of Pi. What are the most common challenges you tend to encounter when adapting a book? DM: There are certain types of scenes and speeches that don’t lend themselves as easily to adaptation. Characters are revealed through action in films. By what they do, not by what they’re thinking. There are beautifully written books where an entire time chapter is devoted to a man walking down a street and glancing at people and doing nothing… but we see how he feels about his wife by the way he thinks about this person who’s picking apples, and then he notices the banker who’s running late and it reminds him that he’s got money troubles, and all these wonderful things happen that I can’t put in a movie. Because all you would see is a man walking down the street, glancing at a fruit seller and a banker, and getting nothing of what his internal thoughts were. If you were to try and put that on film just the way it was in the book, all you’d have is a voice-over with a man walking down the street and it’s not very engaging and it also doesn’t use the medium that you have at hand. I kind of think of movies and books as being as different as paintings and sculpture. That’s not to put them on a high art level, it’s just the difference is enough that if you look at a painting and you think ‘I want to do this statue of Hercules that it’s in this painting’ — well wonderful, but now that you’re carving it out of 3D stone… what’s the back of it look like? And wait a minute, so much of this is in shadow, I have to invent something. And I’ve lost the rest of the picture… do I bring that back in some way? Because all I’m doing is that statue. Those are some of the kinds of scenes that I frequently find I have the most trouble in adapting. And then certain other scenes, you can very quickly see in a moment what’s happening in a relationship. If you cut to two people sitting at a table having lunch, actors can make it very clear that they’re having trouble in their relationship. The angle of the camera can make it clear, what kind of restaurant it is can tell you whether or not it’s a fancy, expensive restaurant, whether they fit there or don’t. All of that can be done in a second and that could be two pages of a book. So those are the kind of things that you find ways to bring detail in that you couldn’t in a book much more quickly. GP: Has The Silver Chair proved to be more or less difficult to adapt than other things you’ve worked on? DM: The nice thing from a structural, storytelling point of view is that The Silver Chair is, first of all, a standalone story. Eustace was in the previous edition, but I don’t need to spend a lot of time catching up on what happened in The Voyage of the Dawn Treader, so it is a standalone and it has a beginning, middle and an end. Nice, three act structure to it. So, I didn’t have to mess around with the shape of the story so much. What became more a question was investigating the individual scenes: how important is this scene, how much do we want to go into this, and how much we want to move it along during this section because it’s something we’ve seen before essentially; we’re not getting new information or going into a new world. It’s never as easy as you think it’s going to be, and there’s a reason it takes three years just to get to the point where you’re ready to maybe start shooting… but I was never concerned with The Silver Chairthat I didn’t know what the story was, what it was about, where we wanted to end up. So in that regard it was very satisfying. GP: As a screenwriter, it’s your job to hand over your work for other people to interpret. You seem excited about that and I’m just curious: is that just an aspect of your job that’s actually kind of difficult sometimes? That you have to let your baby go and let other people take the reins? DM: I started as a theater actor first of all, which is very collaborative by its nature. You’re always hearing from the director “More this, less that, let’s do something else, let’s try it this way,” and you’re working with other actors and playing off what they do. So that by it’s nature is very collaborative. While I was acting and making no money, I had to support myself, so I was writing the abridgments of novels, which is essentially taking a novel for audio and trimming it down so that you can listen to it in your car and not spend twelve hours with the murder mystery, but maybe four. So I was taking other people’s writing and chopping it up and being horribly cruel to it, so at a certain point I don’t feel like I have the right to be too precious about my words. If I strongly feel this scene needs to be in and there’s a reason for it, of course I’ll advocate for it, but I’m considerably less precious about individual scenes and moments. I’ve also learned over time that any time I actually say aloud, “That’s my favorite line in the movie,” it gets cut. So I tend not to let myself think that way. And then I love the process of collaboration. Again, in my experience, even if someone comes in who’s not as experienced in analyzing the script, but they watched the film or they read this script, and they say “I don’t know, this scene didn’t quite work for me… I kind of didn’t like them.” Now, they might not have a good way of saying it, but usually there’s something there that you need to pay attention to. Every once in a while, someone has an odd note that’s just “them” — that’s just [their] reaction. [Laughs] But more often than not, everyone trips at a little point and you don’t know quite why. Even if they suggest good reasons, they suggest solutions and they don’t work, you usually find yourself going back to it, going back to it, and finally saying “Wait a minute, the reason it doesn’t work is that two scenes earlier he wasn’t nice to her, and so now I feel like he’s—” … you know, whatever. You see that there is something that makes them trip that you have to figure out, so I’m grateful for the input. It makes me look better in the end. That doesn’t mean there aren’t days that it makes me crazy. [Laugh] But no, that’s how I like to work. GP: What’s next for you? You’ve been an actor and a screenwriter… Have you ever thought about directing? DM: I’ve thought about it a lot. I have three kids; my oldest is going to college this year and my other two are going to be in high school. 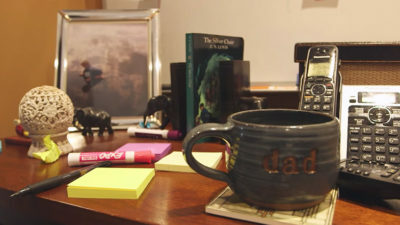 The advantage of being a writer is that I get to be home with my family, and directing is a very all-consuming job and while I have always thought, “Yeah, I’d like to do that,” there’s a part of me that said “Yeah, maybe if when your kids are on their way, that would be something to do.” Whether I actually do it or not, I don’t know, but I’m open to the idea, absolutely. GP: Would you be interested in possibly being involved with future Narnia films down the road? DM: I’d be more than open to the idea, yeah. I tend to kind of say to myself, “Let me just get this one done first.” [Laugh] Because it takes so much time to get one done, but I’ve had a wonderful time working with all the people involved, and yeah, I’d be more than happy to be involved. Time will tell, but again, let’s get this one onto the screen and then we’ll see where we stand with that. GP: Anything else you want to say to the fans or anything about the movie you’d want to say at this stage? DM: Just that I’m very excited that Joe Johnston is on board. He’s a wonderful guy and he has wonderful ideas and I’m really looking forward to the point where we’re able to say here’s the next step. I’m happy to have fans on Twitter asking me all the time when’s the next step, and unfortunately because I’m the writer, not the production team or the ad folks, I’m never the one who can announce it. But I look forward just like you all do to hearing the next announcement made public. So I hope that comes soon. See how David did on our Narnia trivia segment, ‘Stump a NarniaWebber,’ at the 28:10 mark of the interview. This transcript is really great. Listening to podcasts are ok, but sometimes it is all too easy to miss bits. With the transcript I can go back more easily to see what I might have missed. About the thimble: I quite get what David Magee says about proportions. However, how large are normal whisky glasses? These are those small artistic glasses, that are often bought in souvenir shops. Puddleglum tends to take mouthfuls of his square bottle, and it probably is some sort of spirits (ie, whisky, gin, vodka, brandy, rum etc). which accounts for the nasty taste. A standard beer glass or a water tumbler, would be of a different size to a wine glass, which, in turn, would be bigger than a whisky glass. And the stronger and more alcoholic a drink is, the smaller the glass used. So maybe the giants don’t have to be quite as large as is implied for Puddleglum to get drunk on a thimble full of whisky, for example. when will the silver chair film be released?